Smartphone and tablet PC technology has advanced a great deal in recent years that has seen more powerful and bigger devices, and gaming has moved away from just being on dedicated consoles for those that want their gaming fix while on the move. We now see popular gaming franchises making the jump to numerous mobile platforms, and today we have a FIFA 13 demo for the PC for you, but an iOS release is coming. The video that can be seen below includes a new feature that is being called “First Touch Control”, and as The Verge are reporting in real life football it is not often that a player takes a perfect touch. The ball may seem to be attracted to the players boot magnetically on every occasion, but in real life a pass or goal kick can often bounce off a player before they can gain proper control of it. This is where the new First Touch Control feature will aim to bring this realistic imperfection to the FIFA franchise this year. The annual FIFA game is due for release in the coming weeks and each year the developer tries to make the game as realistic as possible, and last year’s offering saw the debut of the Player Impact Engine. The feature was designed to replicate real collisions between players when tackling and colliding on the pitch. Even though this video demo is for PC, we must stress that FIFA 13 will be releasing as well for iOS users. This is just a teaser and we cannot see the game being that much different between PC and iPad / iPhone, and the iPhone 5 is due to be officially launched tomorrow and may bring the game even closer to what is seen on other platforms. 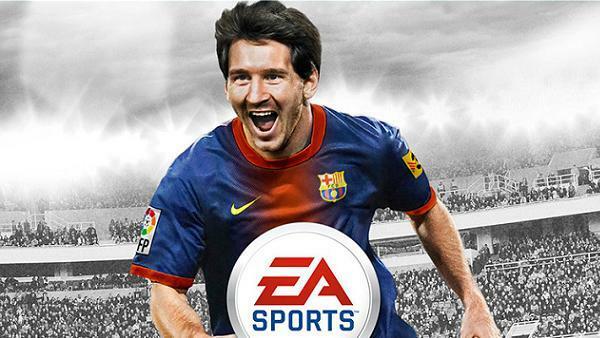 Will you be getting FIFA 13?